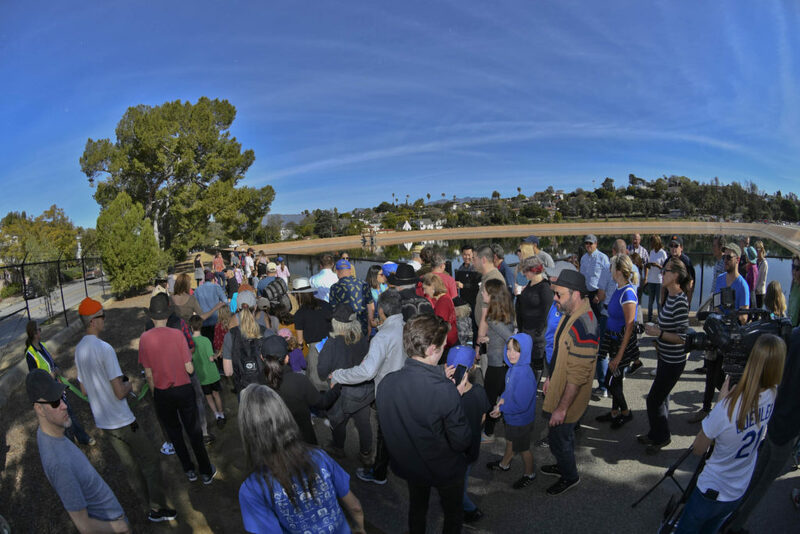 LOS ANGELES (January 26, 2018) – Residents and visitors alike now have access to a walkway by Los Angeles Department of Water and Power’s (LADWP) Ivanhoe Reservoir from dawn to dusk every day. 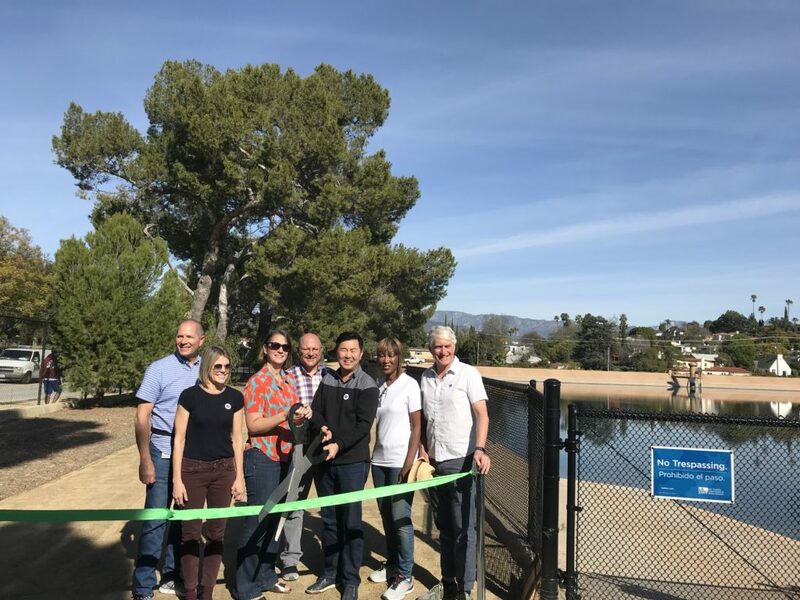 The Ivanhoe Pathway was officially opened to the public on Saturday, January 26, in a ceremony at the north end of the Silver Lake Reservoir Complex, home to both the Silver Lake and Ivanhoe Reservoirs. The ribbon cutting ceremony featured State Assemblymember Laura Friedman, LA Councilmember David Ryu (CD 4), Board of Water and Power Commissioner and Vice-President, Cynthia McClain-Hill and LADWP’s Chief Operating Officer Martin Adams. The Ivanhoe Pathway runs along Ivanhoe Reservoir near W. Silver Lake Dr. and Tesla Ave. The first walking path opened in February of 2018 on the south end of the complex, on the side of the Silver Lake Reservoir. Just like the grand opening for the first walking path, today’s grand opening of the north walking path also included a special 2.2 mile walk around the inside perimeter of the Reservoir Complex which ordinarily, is not accessible to the public. The event drew hundreds of community members and visitors to the iconic LA landmark. Both walkways are a component of the Silver Lake Reservoir Complex Improvement Projects, a series of measures that are being implemented after feedback from local residents. The Silver Lake and Ivanhoe Reservoirs no longer contain drinking water due to federal water quality regulations regarding open water sources. They were refilled in the Spring of 2017 ahead of schedule, using surplus water from that year’s above-average Eastern Sierra snowpack.